The Naperville City Council approved the deal in a public hearing on Tuesday evening. Topgolf Naperville will be modeled after this facility in Houston. The success of Topgolf in Wood Dale has built the foundation for our company to expand in Illinois. We are looking forward to introducing our new prototype design to the Chicago market. Global golf entertainment leader Topgolf opened its second U.S. location in Wood Dale, Illinois in 2007. Seven years later, the company has confirmed it will develop a three-level, 65,000-square-foot flagship location in Naperville. Construction is scheduled to begin next week with an expected grand opening in spring 2015. The new Topgolf® Naperville will be located at the northwest corner of Interstate 88 and Route 59. The 16-acre location was purchased from the Halikias family and will be constructed by locally based ARCO/Murray National Construction Company, Inc.
Topgolf is the only entertainment center of its kind, offering competitive golfing games for all ages and skill levels and advanced technology to track every player’s shots. Those who just want to relax can enjoy the upscale, laid-back ambiance that boasts live music, more than 230 high-definition flat-screen TVs and an extensive food and beverage menu. Shor estimates that Topgolf Naperville will serve approximately 450,000 visitors in its first year of operation. Nearly half of all Topgolf guests describe themselves as “non-golfers.” The new facility will include approximately 3,000 square feet of private event space and 102 climate-controlled hitting bays that can host up to six players at one time. economic impact in its local communities is also remarkable, creating hundreds of jobs at each location and serving as an anchor tenant that tends to attract other popular franchises to the area. In fact, its economic output in the Chicago region alone is expected to exceed $529 million over a 10-year-period, according to a third-party audit. Residents can track Topgolf Naperville’s progress at topgolf.com, on Facebook and @topgolfchicago on Twitter and Instagram. Topgolf is the emerging global leader in golf entertainment, with 13 locations serving more than 2.7 million guests annually. Players hit golf balls containing computer microchips that track each shot’s accuracy and distance while also awarding points for hitting targets on the outfield. Each facility offers an upscale, laid-back experience that features climate-controlled hitting bays and an impressive food and beverage menu crafted by an executive chef. 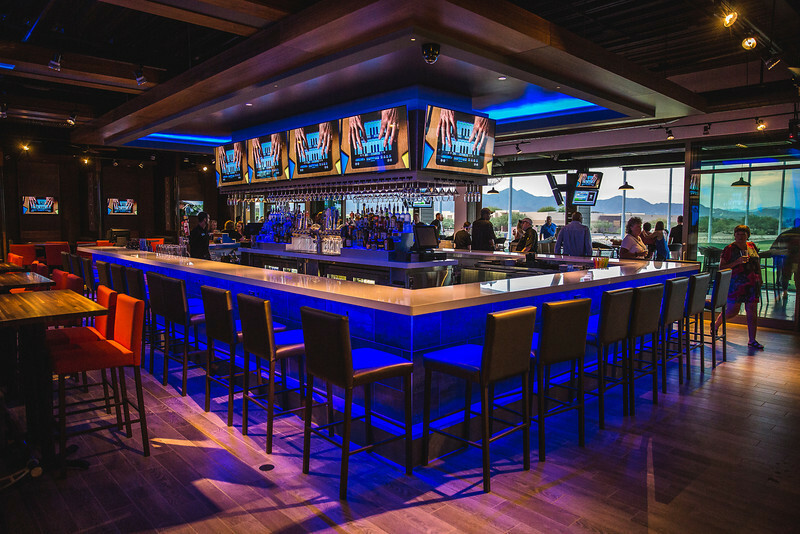 Mix in dynamic event spaces for groups of all sizes, and Topgolf stands as the premier entertainment complex where the competition of sport meets the neighborhood’s favorite hangout. To learn more about Topgolf, visit http://www.topgolf.com.